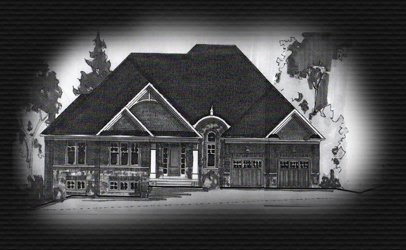 Proudly building luxury homes in Southern Ontario for over 25 years. Let us introduce you to our Project Management System that will get you From Concept to Completion of your new home project. Our System is all encompassing in its scope and begins even before the purchase of the lot and the design of your dream home. Eliminated is the stress & frustration that surrounds a typical builder-owner relationship. Home owners under our system will enjoy the flexibility of being very involved in the process, or simply stand back & watch as the dream becomes reality. We work together with our clients as a team ensuring they are well informed with respect to choice and cost of materials allowing decisions to be made on a timely basis throughout the process. Gone are the constant conversations surrounding far too many extras and too few credits. In short Classic Construction Services ensures the scores of details in the building of your home are all accomplished on schedule, on budget and your future dream home constructed to the highest standard with dedicated craftsmen. Thank you for considering Classic Construction Services as the right choice to make your dream home a reality. This system covers all aspects prior to the lot selection and design phase, as well as the design and construction supervision phase which includes a myriad of other details through to final completion of your home building project. Consult on lot purchase prior to build. Consult regarding potential building cost prior to design. Builders often include fixed options so upgrades or changes will incur additional charges. Under our system you are in full control from start to finish with no penalties for adding or subtracting features. Classic Construction Services has professional collaboration agreements with the best Architects, Technical Architects, Mechanical and Electrical Consultants, Structural Engineers, Quantity Surveyors, Health & Safety officers, Internal Designers and Decorators .This package would cover both the design phase and the construction supervision phase through to completion of your home building project.